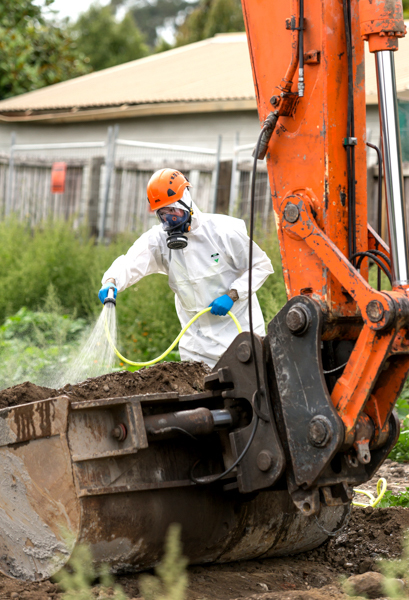 Earlier this month, Christchurch played prestigious host to the country’s fifth Contaminated Land Conference. An inaugural event for the city, it brought together local and international speakers across the industry and saw hundreds of professionals descend on Christchurch. It’s a timely event for New Zealand, which has just ushered in new guidelines for assessing and managing asbestos in soil, and follows on from the Health and Safety at Work (Asbestos) Regulations 2016, which came into force on 4 April 2016, MBC co-owner Mark Hamilton says. “This is a fantastic new development for the industry, both from a legislative point of view and a practical on the ground perspective,” he says. The New Zealand Guidelines for Assessing and Managing Asbestos in Soil takes New Zealand industry step by step through the process of identifying, assessing and managing asbestos in soil, providing a practical approach specific to our soils, climate, lifestyle, history and regulations. Locally owned by Mark Hamilton and Felicity Drennan, MBC is a Licenced Asbestos Removalist, but offers a full suite of environmental management services, including asbestos and mould removal, chemical decontamination, contaminated land remediation, erosion and sediment control. For further information on asbestos or mould removal, any of MBC’s other environmental services, or to get a free quote, visit www.mbc.co.nz, phone 03-354 4377.